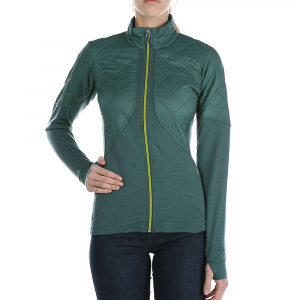 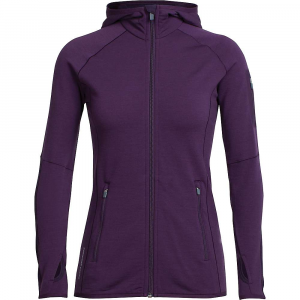 Whether you're schussing up the skintrack at the crack of dawn or bringing down the house with some seriously stellar "I-ran-the-whole-way" dance moves at the top of the trailhead, the Icebreaker Women's Ellipse 1/2-Zip Hooded Pullover curtails cold with a swift side-eye and overt practicality. 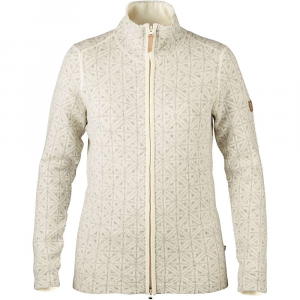 This hybrid pullover is crafted with 70g of MerinoLoft, which provides warmth in the areas that you need it the most, while the merino blend jersey material wicks away moisture and regulates your body temperature bossier than a bodyguard supervises the entrance of a club. 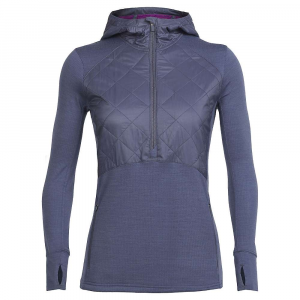 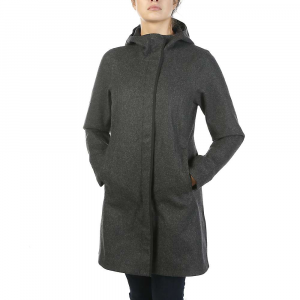 A shaped hood ensures protection and warmth and the stretch side panels encourage optimal mobility, which is pretty convenient for those parking lot cartwheel sessions.